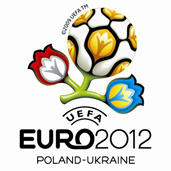 Safety in stadium in cities-hosts of Euro 2012 its the issue raised during Polish-Ukrainian conference in Dnipropietrovsk. Both countries will be co-hosts of the championships. Over 60 people take part in the conference which was organized as part of Polish-Ukrainian Self-Government Forum Euro 2012. They are representatives of cities-hosts of Euro 2012, representatives of the Ukrainian policy, the Polish embassy in Kiev and the staff of football federations from the both countries. ‘The European Championships are the third sports event in the world and because of that the requirements of UEFA are huge- said a director for safety in Polish Football Federation Wieslaw Wieczorek. One of the requirements is to come into use all stadiums in June 2012. We already know that it’s impossible and there will be delays. Of course UEFA will be informed about it’. Polish and Ukrainian Football Federations received detailed information concerning safety requirements during European championships. ‘A scenario is already written, we have to only carry it out- explained Wieczorek. Of course UEFA gives some freedom because it knows that there are different law regulations in every country. We as the organizers of Euro do not have to agree with some suggestions of UEFA and if we manage to force our arguments through we can put them into practice’. ‘The most important difference between Poland and Ukraine is that for safety on the object are responsible other services. We have the police- said responsible for the safety in city council of Dnipropietrovsk Wladymir Siedlecki. – Altogether the staff responsible for safety during mass events has three thousand police officers. We have wide experience in securing international sports events because the local club plays regularly in the European Cup. UEFA didn’t have any reservations about work of the police’. According to the director of Warsaw security bureau Ewa Gawor in Poland assuring safety during mass events looks different. ‘This issue is regulated by law concerning organization of mass events, by law which is one of the most rigorous in the world. An organizer and its services are responsible for safety. The police stand outside the object and if it proves necessary the police are at organizers’ disposal, but they take action only when other services aren’t able to assure safety. On Friday morning participants in the conference will go to Donieck and they will be continuing the meeting. Its finishing is planned on Friday evening; visit in sports base of Szachtara Donieck and visiting newly-building stadium will be the last item.